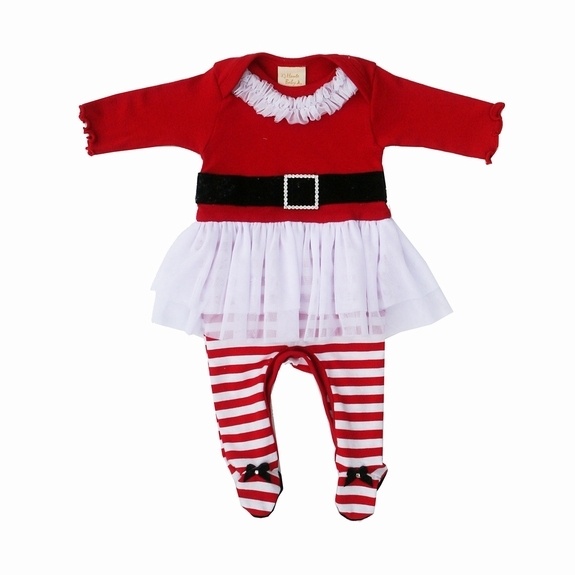 Haute Baby the cutest tulle skirted fottie and the perfect picture outfit for baby's Christmas. Candy cane strip leggins are topped with a drop waist tunic embellished with a black velvet belt and rhinestone buckle. Made in USA and Just Lovely!